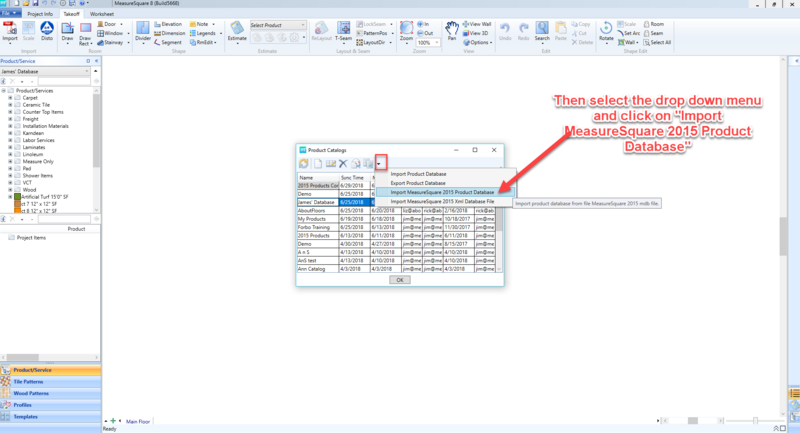 How do I import my MeasureSquare 2015 database into MeasureSquare 8? – Measure Square Corp. 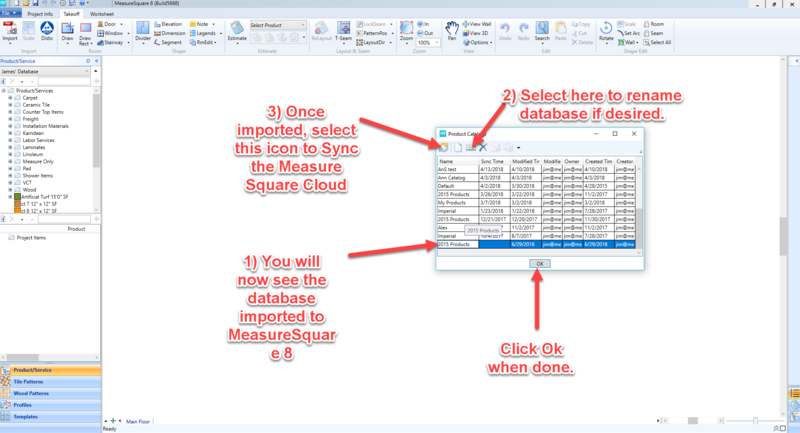 This article will show you how to import a 2015 database to MeasureSquare 8, the steps are shown as below. Step 1: Open MeasureSquare 8 and select the small triangle icon next to the currently selected database. 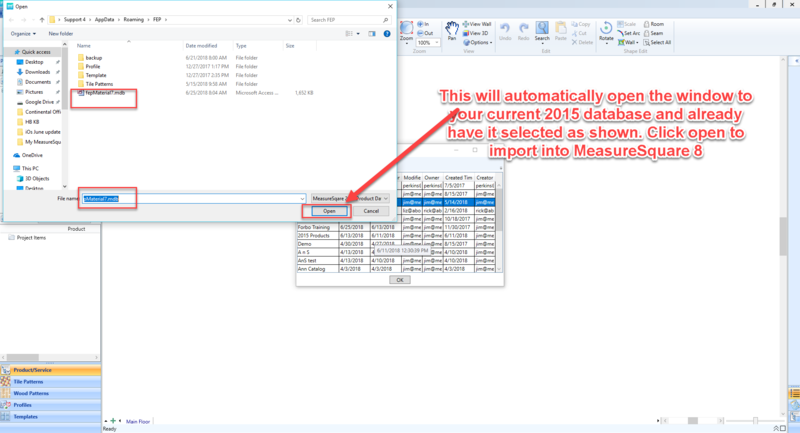 Step 2: Select the drop down menu and click on "Import MeasureSquare 2015 Product Database". 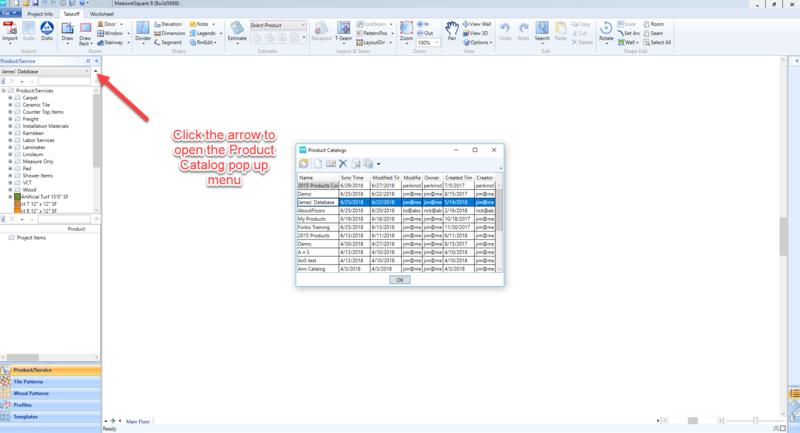 Step 3: This will automatically open the pop up window to your 2015 database as shown. If it is not selected, please left click on the database file; ends in ".mdb". Then click Open. Step 4: You will now see your 2015 database imported. From here you can rename it if you would like and sync it to the cloud. When done, click OK. 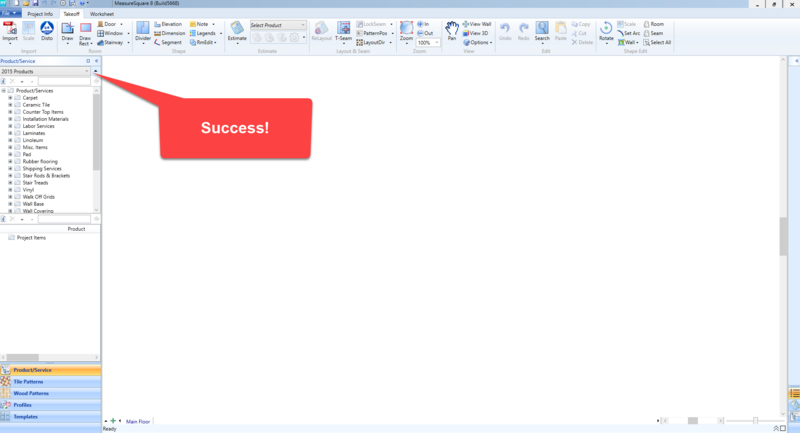 Step 5: Your database is now in MeasureSquare 8!